Like many cities in Texas and North Dakota, Oklahoma City is also in the midst of an oil boom. The expansion of horizontal drilling and fracking has made it possible to tap into vast reserves that remained untouched before -- meaning lots of oil money and lots of jobs. "As the amount of drilling goes up, demand for services, like finishing off well heads, laying pipeline and cleaning up site, increases as well," said Don Hackler, public information officer with the state's Commerce Department. 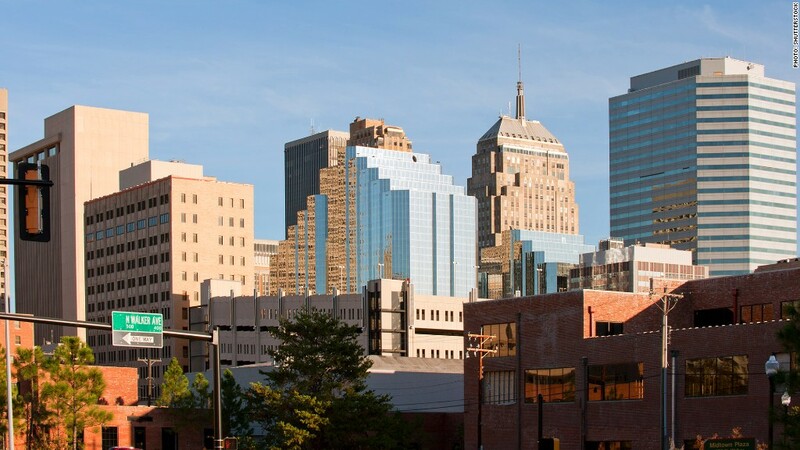 As a result, people are flocking to the area to find work: The greater Oklahoma City has seen its population grow by more than 5% since the 2010 Census. And so far, there appears to be almost enough jobs for everyone. In January, the metro area unemployment rate was just 5%, a full two percentage points below the national rate. Source: Based on U.S. Census Bureau population data for July 1, 2012 through July 1, 2013. Rankings are based on largest percentage population growth in metro areas with a population of one million or more.